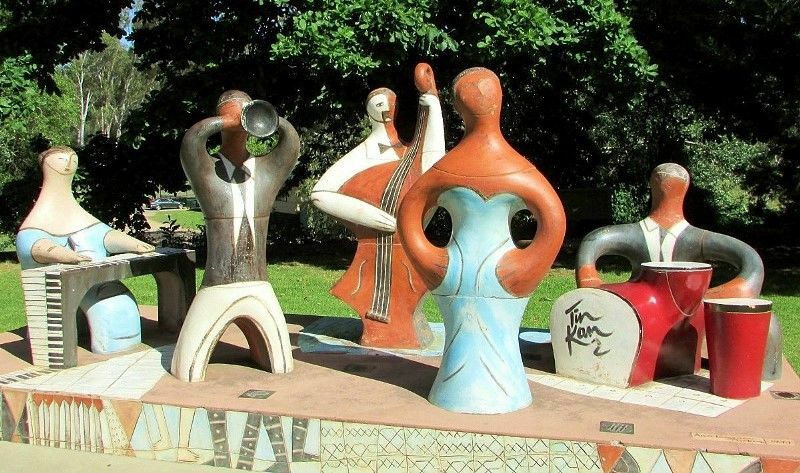 A sculpture commemorates the 10th year of Wangaratta Festival of Jazz. 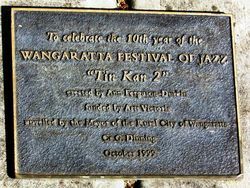 Conceived by a group of locals in 1989 as a way to attract visitors and raise the profile of the town, the first Wangaratta Festival of Jazz (as it was then known) was staged in 1990, with attendances at around 2500. Since then – with blues added to the program in 1994 – it has grown to become an internationally renowned event, attracting around 25,000 visitors, and more than 200 jazz and blues artists from the USA, the UK, Europe and Australia.